We are an alliance of independent contractors providing broad spectrum IT solutions to small and medium sized businesses. We are experts at Unix and Windows serverside system administration and network infrastructure. We now have an excellent, individual user configurable, spam and virus filter for your email server. Ask us about the Maia Mailguard. Do you have (or need) multiple connections to the Internet in order to allow for different classes of service? Ask us about policy-based routing! Our policy-based routing is second to none! At D. P. Sims & Associates, we believe that carefully designed and implemented computer infrastructure and basic services are the keys to robust and trouble-free business operations. As a result, we focus on engineering and implementation of cost-effective, high-performance, networked computer systems in a secure Internet-connected environment. This provides a robust, scalable and secure platform for all normal business applications. We recommend and use Open Source software solutions such as Linux. One very nice Linux distribution that boots and runs completely from the CD is Knoppix. The lastest version of Knoppix can be downloaded [here]. The latest installable version of Ubuntu Linux is available for download [here]. In either case, just download the image, burn it to a CD, pop the CD into your CD drive and reboot. That's it. Open Source is not just Linux though! Some free samples of high quality Open Source software for Windows are available via TheOpenCD at http://www.theopencd.org and copies can be downloaded via this server: [Version 1.4.1], [Version 2], [Version 3] or [Version 3.1]. The OpenCD project has evolved now though and the latest software is available via the OpenDisk project. We are expert at Unix and Windows serverside system administration. We do low-cost standards-based business and database oriented application development and support including full-featured e-commerce and ERP solutions. We can help you securely connect to the Internet at optimum price/performance as well as getting your domain name registered and working properly. We can then help establish your web presence and search engine optimise it. This, along with virus and spam-filtered email services provide a sound basis for doing business via the Internet. Out of 80 businesses asked why they were not using Linux, 48% cited that their IT staff wasn't trained in Linux. ** Advanced Internet Solutions can help you fill the need where Linux expertise is lacking. We put our own money where our mouth is and run our entire business on Linux and you can too. Don't take our word for it, though. Ask any major IT company such as HP, IBM, Oracle or SAP about Linux support. 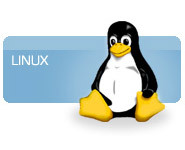 A Gartner report on Linux from November, 2004 can be found [here]. Copyright © 2008 D.P.Sims & Associates , All Rights Reserved.